Tinderbox Theatre Company’s spectacular production created especially for the 2011 Ulster Bank Belfast Festival at Queens. Paul Kennedy’s chilling new play is set one generation after a global apocalypse. Only a few survivors remain, scouring the desolate landscape looking for food and clean water. Making contact with other humans is the biggest danger and the only hope. As desperation and paranoia grow, every move becomes a decision to trust or die. Anyone who lives by the guidelines will live in hope. The hope that there is something better out there. The hope that we can take what is broken, and rebuild it. The hope that we can start all over again, and be new. 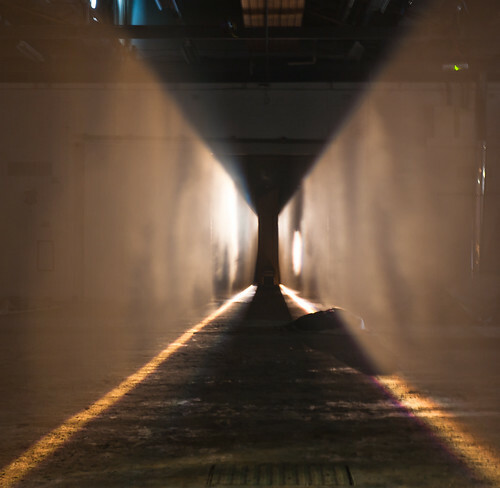 An immersive, intimate theatre experience staged inside a vast industrial space, Guidelines transports you to a terrifying post-apocalyptic world where only a few survivors remain. Not for the faint-hearted, this theatrical spectacle, which is staged in a disused warehouse on the Castlereagh Road, guarantees a thrilling night’s entertainment.